For the first time in more than 100 years, the Waimea River on Kauaʻi will flowcontinuously through the iconic “Grand Canyon of the Pacific.” A landmark deal will restore flows to the river that have been diverted since the sugar plantation era. The agreement, approved by the state’s water commission on April 18, represents a historic breakthrough. For the first time, water is being returned through mediation and voluntary agreement—not litigation. This victory not only opens a new era for the long-deprived Waimea River and the communities that depend on it. It also offers a new path for resolution and reconciliation in the long-running water disputes in Hawaiʻi. For the first time, water is being returned through mediation and voluntary agreement—not litigation. During the plantation era, sugar companies treated stream water as their property, diverging from the ancient Hawaiian principle that water is a public trust for all. Yet, even as the plantations closed down, the water didn’t return. Instead, companies continued to hoard stream flows and profit from selling hydropower and water to the public. For decades, local and Native Hawaiian communities, represented by Earthjustice, have fought to restore these streams. The first landmark battle began on Oʻahu in the 1990s over the Waiāhole Ditch’s diversions of windward streams. The struggle then moved to Maui in the 2000s, where efforts to restore Nā Wai ʻEhā (“The Four Great Waters”) continue today. In 2014, local citizen Walter Kanamu jumps into Maui's Wailuku River to celebrate the return of stream flows. These water cases have been marked by years of litigation, during which diverters have fought tooth-and-nail against giving up any water. The cases have also gone repeated rounds because the water commission has fallen short in protecting public and Native Hawaiian water rights and has been continually reversed on appeal by the Hawaiʻi Supreme Court. The Waiāhole Ditch case took 15 years and three appeals to resolve. The Nā Wai ʻEhācase is entering its 13th year, has gone to the supreme court once, and is still ongoing—although a settlement in 2014 achieved initial restoration of all four streams. Theagreement recognizes as its first principle: “All streams will be allowed to run from the mountain to the sea and no diversion will ever be a total diversion again." The agreement also provides water for agricultural uses, including Native Hawaiian homesteads, and includes a framework for a potential modern “pumped hydro” project that would generate clean energy while protecting in-stream flows. In short, the accord enables a “win-win-win” solution, instead of the “zero-sum” conflict of past water cases. 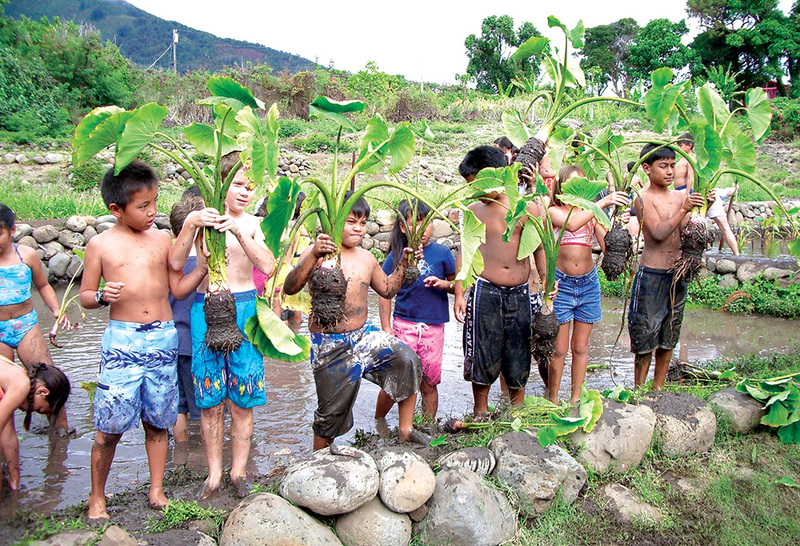 Children learn the significance of taro to the Native Hawaiian culture at a family farm on Maui. This traditional staple crop can only be grown with access to sufficient water from stream flows. As Commission Chair Suzanne Case remarked, the agreement is just as significant for “what didn’t happen.” While it took nearly four years to reach agreement on restoring the Waimea River, mediation proved far quicker, easier, less costly, and less acrimonious than a decade-plus of litigation. While it took nearly four years to reach agreement on restoring the Waimea River, mediation proved far quicker, easier, less costly, and less acrimonious than a decade-plus of litigation. The commission showed leadership not only in calling for mediation, but also in expressing expectations for results. Credit also goes to the water diverters, who recognized the value of coming to terms. Finally, mediator Robbie Alm, who mediated the 2014 Nā Wai ʻEhā settlement, was again instrumental in crafting a solution. More disputes will inevitably arise over other plantation-era diversions that persist around the islands. Maybe not all will be resolved cooperatively, but the Waimea agreement is a historic example of how to do the right thing. 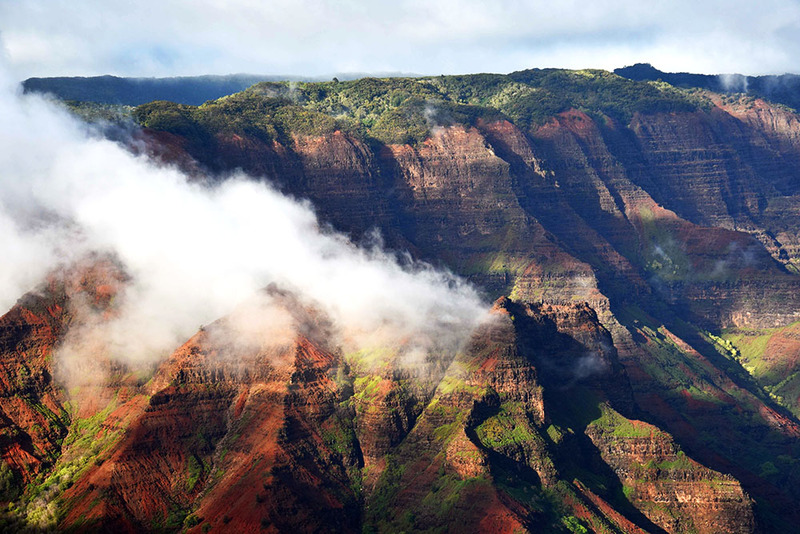 Afternoon fog rolls in over the Waimea canyon in Kauaʻi, Hawaiʻi.